Please see our conference page for information on airline and hotel discounts. Due to an overwhelming response to the workshops last year and many attendees disappointed as you were unable to register for the workshop you wanted due to limited offerings, the conference committee decided to put all the workshops as a pre-conference learning day and that way no one misses the amazing line-up of speakers on Saturday and Sunday. The workshops are NOT included in the conference registration fee and require separate registration. In order to keep the costs down, breakfast/lunch on Friday is not included. Some of the workshops have a lab fee included as outlined below. Seating is limited in all sessions. Registration is on a first-come, first-served basis. Please make sure to refresh your browser so that you are looking at the latest version of the information. Registration for Workshops is separate from your conference registration, but you must be registered for the conference to register for a workshop. Once you have completed and paid for your conference registration, you will receive a link to the Workshop Registration page. Workshop #1 – Take Your Assessment Skills to the Next Level! Reflexology is a combination of pressure and massage of the feet. Points of the top, bottom and sides of the foot represent various organs, glands and systems of the body. Stress and tension can restrict blood flow, causing you to become sluggish. As a result, tissues becoming oxygen-deprived and the energy in the body becomes depleted. Reflexology can help the body’s circulation. This workshop will show you how the benefits of reflexology as another option for your foot clients. This workshop is sponsored by CPC Healthcare Inc.
A variety of padding and off-loading techniques may be used to treat or prevent corns, calluses, blisters and pressure lesions of the foot. This interactive workshop will provide a hands-on opportunity to learn about and practice padding techniques and other interventions to avoid and address such lesions. We will examine the use of an array of over-the-counter products along with learning to fabricate custom padding toward achieving those therapeutic objectives. NB – Please wear or bring a pair of shoes with removable liners/insoles to practice making custom padding. Be prepared to remove your shoes to make removable padding for toes. This workshop will provide a comprehensive review of the requirements for reprocessing foot care instruments including pre-cleaning, decontamination, inspection & packaging, sterilization, storage and transportation. This interactive workshop will provide a practical, hands-on opportunity to learn how to make advanced off-loading digital silicone molds. Learn about the various types of orthodigitals, their indications and how to make them successfully to improve your client’s foot health. You must register for the conference first in order to register for workshops. Refund requests will be honoured, less a $50.00 processing fee, if received in writing prior to May 3rd, 2019. After this date, refunds will not be issued, but substitutions are permitted. This session will provide an overview of peripheral arterial disease and the diabetic foot highlighting the pathophysiology, incidence, prevalence, diagnosis and treatment and the impact of both diseases on the patients quality of life. Across Canada diabetes-related amputations are increasing in prevalence, are associated with high morbidity and mortality and have become one of the most feared complications of people with diabetes. This interactive session will explore your role as a front-line clinician to amputation prevention strategies to ensure outcomes that support healthier and productive patients. Peripheral neuropathy caused by diabetes is a result of microvascular complications affecting the nerves: sensory, motor, autonomic or all three. This session will provide an overview of symptoms, clinical presentation, risk factors and treatment. Dr. Lewis has recently completed the first clinical trial to show nerve regeneration in people with Diabetes. This presentation will highlight current gaps in neuropathy management, clinical trial findings and relevant case studies. Case studies will also be used to identify how evidence-based targeted nutritional therapy can be discussed with clients and implemented in clinical practice. This session will provide an overview of different EMR systems used for scheduling, documentation, communication and billing. Both pros and cons as well as the legal implications and security concerns will be addressed. As a busy entrepreneur learn techniques to save time, energy and how to streamline actions. 4:30 – 5:30 Spotlight sessions: Exhibitors are invited to showcase a particular product or service in 10-minute rotating sessions. 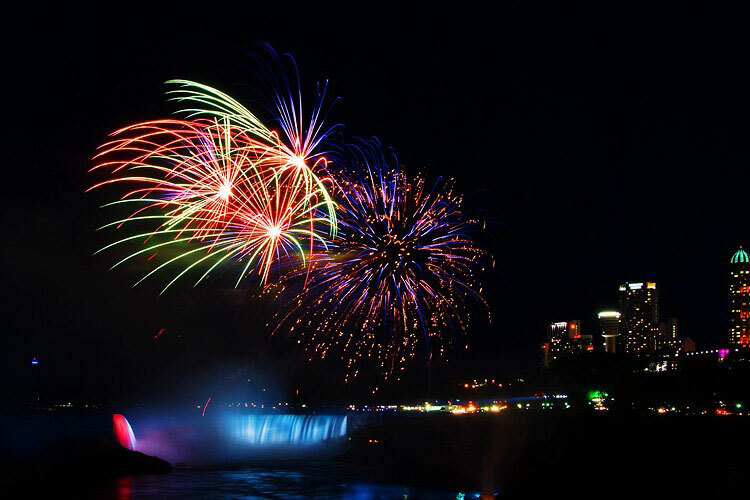 Meet us on on the Fallsview Terrace for tastings from local brewmasters and wineries, a hot cocoa bar and specially created hors d’oeuvres while we watch the spectacular fireworks over Niagara Falls. There is an additional cost of $25 to participate in this event. The sharing of knowledge and approaches that support good skin and foot health of a patient is an important role for any nurse providing foot care. This presentation will provide an overview of the science and strategies behind using vinegar, knowing how a shoe should fit and how lacing a shoe can be used to change a patient’s weight and balance. This session will present an overview of footwear design considerations and modifications using various internal/external approaches and remedial devices. The focus will be on definitions and examples that will help clients and clinicians better understand foot support. This one-hour presentation will consider the legal questions most often asked by Foot Care Nurses. Issues include insurance requirements, professional liability protection, documentation, professional practice/competence and consent. This session will provide an overview of the most common pathologies afflicting the 1st MPJ in normal patient populations. 12:00 – 1:30 Educators Lunch – If you are a nursing foot care educator, please join us for lunch. Must be an educator to attend. As an independent practice foot care nurse learn how to develop tools to advocate, educate and support your clients and the foot health team. This session will provide an overview of ways to streamline the tools you need to build trusting relationships that will promote your professionalism and lead to referrals from your colleagues. Advanced nursing foot care practice is a growing specialty with the Canadian Association of Foot Care Nurses (CAFCN). The purpose of this presentation is to present the findings of a descriptive exploratory study that explored the perceptions of advanced foot care nurses regarding their practice environment and their perceptions of barriers and facilitators to foot care. Half of all nail disorders are caused by onychomycosis and is considered to be the most common nail disease in adults. In this session, Manny will introduce a new and simple method to treat onychomycosis and how to effectively incorporate this into your practice for better patient outcomes.